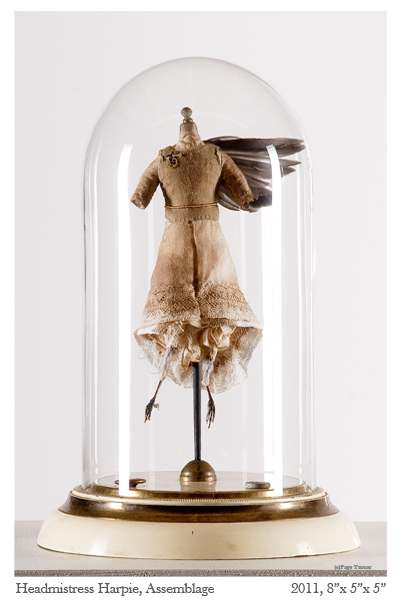 My delicate sculptures are sewn and constructed entirely by hand, using heirlooms, preserved animal parts, domestic tools, and sacred objects. 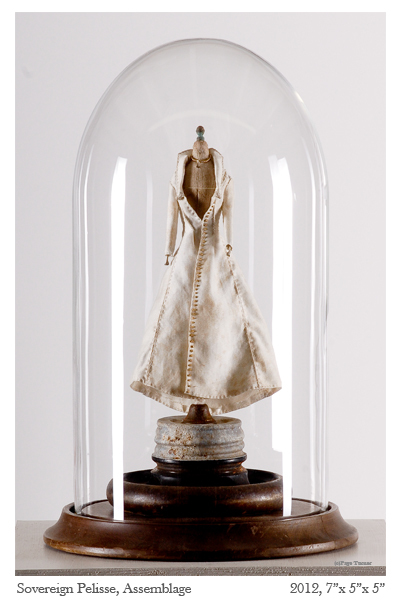 My work honors the high art of domestic skills and is a reflection of femininity. 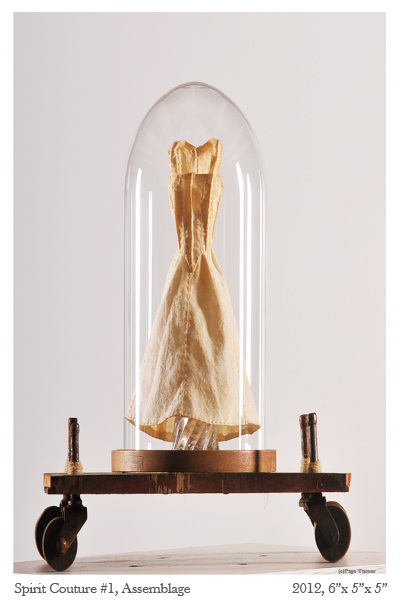 Each sculpture in my series A Stitch in Time Saves Nine is a totem of a specific woman who helped to forge my identity. As a child, I was steeped in Mormon culture and taught by elders who strongly defined and enforced gender roles and responsibilities. These sisters emphasized domestic skills and traditions to ensure my proper education. While under the sisters’ tutelage, I discovered the sacredness of personal objects and how they truly reflect our identity as women. I have always been bewitched by what is kept and saved, and by objects that are perceived to have little to no value. I am attuned especially to objects and tools that women have owned or own, such as material remnants, and the everyday mementos that someone saves—sentimental objects, trifles, trinkets, and sundries. Page Turner, the youngest of five dynamic children, was born in May 1981, deep in the heart of the Blue Ridge Mountains, in Roanoke, Virginia. Raised in a devout Mormon community, she explored all things in nature and in the domestic arts. The artist studied the humanities at Brigham Young University in Idaho for two years, then returned to Roanoke to serve a 14-month AmeriCorps/VISTA tour. In 2005, she married her high school love, Zephren Turner, an event that marked the beginning of a fine arts career for both at Page Turner Studios. After exhibiting with her husband in “The Intro Show”, which she organized, Page Turner continued showing her work throughout the Roanoke Valley, participating in the 7th, 8th, and 9th Annual Open Studios Tour of Roanoke and in the 2007 Roanoke College Annual Juried Art Exhibit. 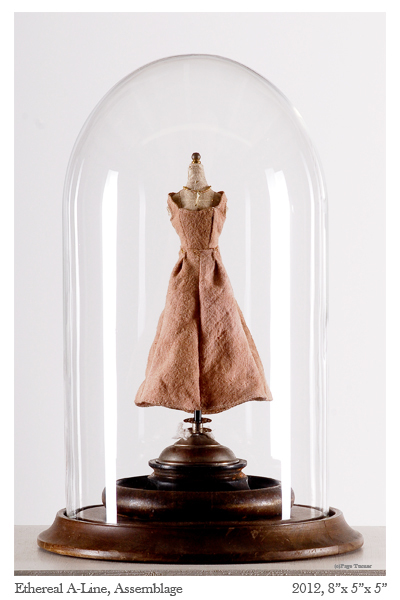 Her first solo exhibition was in 2011 at Dialog Gallery, where she debuted her series A Stitch in Time Saves Nine. That spring her work was selected by juror Beth Venn for publication in the 13th volume of Studio Visit Magazine. Subsequently, she exhibited five sculptures under bell jars at the “5×4” show at E. Taylor Greer Gallery at Ferrum College and in the exhibit “The Sacred Feminine” at the 4th Annual Marginal Arts Festival. In 2012, her sculptures were selected by juror Trevor Richardson for publication in Studio Visit Magazine‘s spring issue (Volume 18). 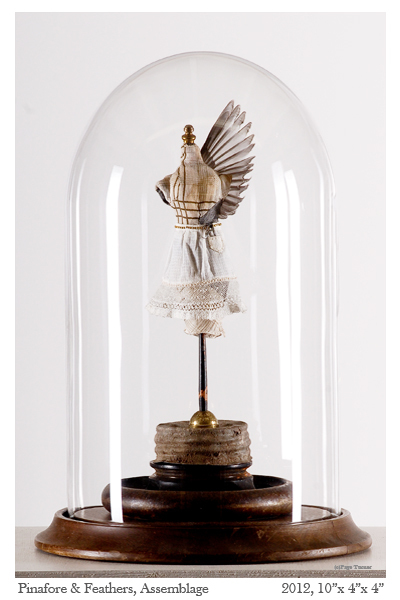 The year 2013 created a whirlwind for Page Turner, beginning with the display of her sculptures in “The Story of the Creative” exhibition at Angel Orensanz Foundation, New York City. Following that, Page Turner participated in two group shows in North Carolina: “The 24th Annual N.E.W. Show” at The Visual Arts Exchange, in Raleigh, and “Showdown 2013” at Hart Witzen Gallery, in Charlotte. In November 2013, she exhibited with her husband at E. Taylor Greer Gallery at Ferrum College. She closed out the year with her selection as “Featured Artist” in the “Small Wonders” exhibition at Capitol Arts Network, in the metropolitan Washington, D.C., area. For that show she exhibited all of her works in the series A Stitch in Time Saves Nine. In addition, Juror Dina Deitsch selected Page Turner’s work for publication in the spring 2013 issue of Studio Visit Magazine (Volume 22), while juror Barbara O’Brien chose work to feature in the winter edition of the magazine (Volume 24). In the winter of 2013-2014, Page Turner kept warm by running from show to show. She began in Winston-Salem, North Carolina, where she exhibited in the “Self Self Show” at Delurk Gallery. Following that, Page Turner traveled to Waynesboro, Virginia, for the annual “40 Under 40” exhibition at Shenandoah Valley Art Center, and then to Los Angeles, California, for the “2nd Annual All Women Artist Group Exhibit” at the Santa Fe Artists Colony’s Studio C Gallery. 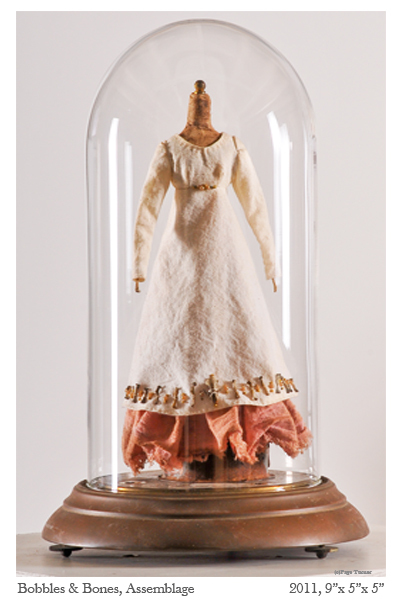 Another show in which Page Turner exhibited in 2014 took place at the Art Gallery of the University of North Carolina at Wilmington; that show, “Mending: New Uses for Old Traditions”, was held in conjunction with this year’s Southeastern Women’s Studies Association Conference. All of A Stitch in Time Saves Nine was exhibited at Signature 9 Gallery, in Roanoke, Virginia, and juror Trevor Richardson once again selected Page Turner’s work for a feature in Studio Visit Magazine (Volume 26). Citing her love of the South, Page Turner next headed to Galax, Virginia, on the Crooked Road to exhibit in the “Artist Preview” at Gallery One Seventeen, and then traveled to Lexington, Kentucky, to participate with two other artists in a group show, “Remnants”, and to lead an intensive two-day workshop at MS Rezny Gallery. Recognition and honors continue to come Page Turner’s way. Her work was featured on the cover of Exponent II (Volume 33, No. 3), which publishes articles about the experiences of Mormon women. She also was the “Spotlight Artist” selection for “The Sacred History of Remnants”, which appeared in the same volume that presented her series A Stitch in Time Saves Nine to the Mormon community. Most recently, Page Turner was nominated by Hollins University, in Roanoke, and Roanoke College for the 2014 Perry F. Kendig Award in the Individual Artist category. 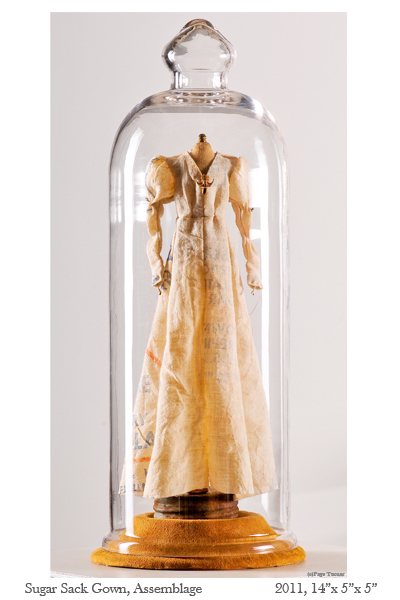 In 2015, she will exhibit solo in “Power and Restraint: A Feminist Perspective on Mormon Sisterhood” at the Eleanor D. Wilson Museum at Hollins University. 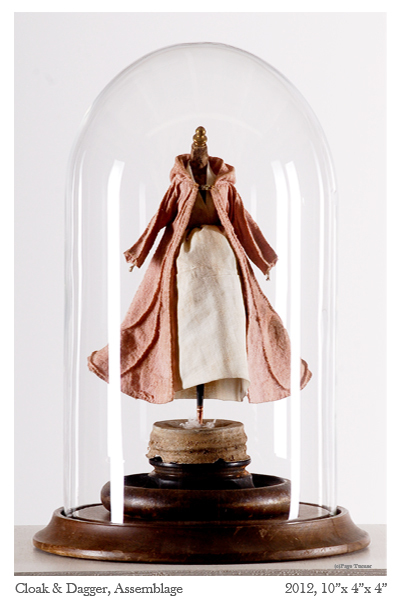 In April 2015, she will show A Stitch in Time Saves Nine at Arehart-Cabell Invitational Gallery in the Shenandoah Valley Art Center. Page Turner, who has donated sculptures for three Human Rights Campaign National Dinner auctions in Washington, D.C., expects to release a catalogue for the latter exhibition.